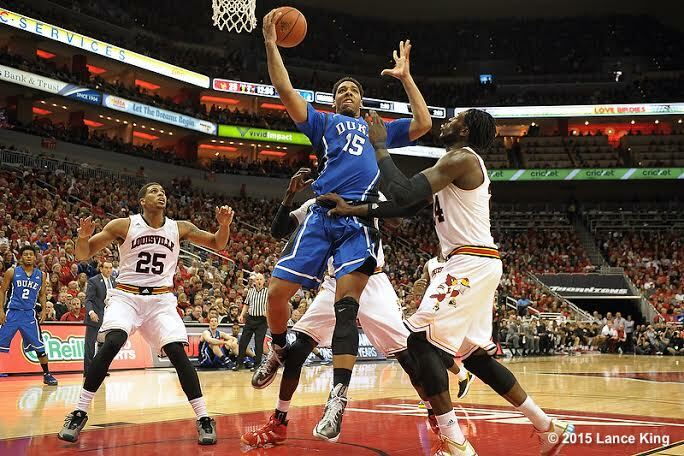 Duke Basketball reentered the ACC race with their weekend road victory over Louisville. After losing consecutive games to unranked conference opponents, Coach Mike Krzyzewski dared to go zone and we all know the result. That begs the question will this strategy continue and from my seat I think we'll see a mix moving forward depending on match ups. The win stopped the bleeding and enabled the Blue Devils to almost assuredly remain a top ten team when the polls come out later today. The win also puts Krzyzewski two wins shy of the remarkable milestone of 1000 wins. Duke added a fleet of foot cornerback in Jeremy McDuffie this past week. Thawzanga Mugala also backed out of his Purdue verbal to come to Duke. Mugala is a DE and the Blue Devils will be naming a new coach for the line within the week. Coach Cut continues to build momentum on the recruiting trail assuring Duke to be a contender as the stadium renovations progress. Former Duke basketball players Miles Plumlee is expected to be traded before the NBA trade deadline expires. Plumlee has seen his minutes diminish a bit due to the Phoenix Suns adding depth to the front court via trades. Up to six teams have shown interest per sources. In other NBA news, Austin Rivers was traded to the Los Angeles Clippers where he will play for his Dad and join Duke alum JJ Redick for the remainder of the season. Duke has little time to enjoy their bounce back win over Louisville in that they play Pitt tonight in Cameron. Don't expect another let down for Duke will get back to their roots a bit and mix man and maybe some zone in this one with a solid focus. Pitt struggles on offense and that could play right into the Blue Devils hands but one can never overlook a conference opponent. Look for the Blue Devil to try and get Justus Winslow going on the offensive end and to have success from the three point stripe. By nights end, Coach Mike Krzyzewski will be one game shy of his 1000th career win.